Following a memorable first quarter with the best of Indian social media campaigns, the second quarter of 2015, marked with the Indian Premier League, saw quite a few innovations in the field of digital marketing in India. There was a dip in long ad films but a rise in short video series. There’s an increased focus on consumer engagement rather than pushing content. There’s an openness towards experimentation with content consumption unlike previous times. Brands are on their feet, catering to the ever-evolving consumer behaviour in this digital age. Mobile phone makers, biscuit manufacturers, cab aggregators have upped their game on digital media. Brands from sectors like FMCG, ecommerce, automobiles, insurance, food & beverages are capitalizing on their faith in digital marketing as a vital aspect of the marketing mix. 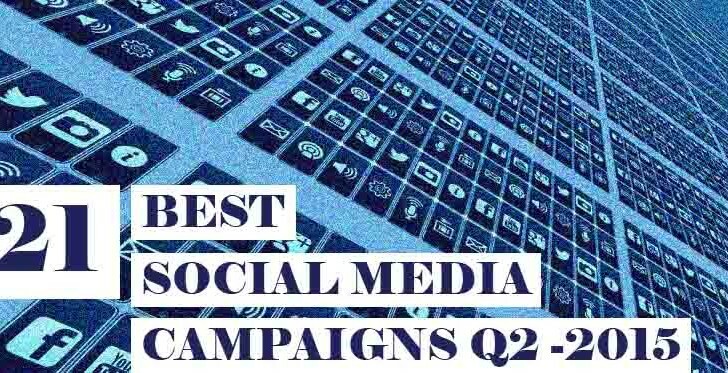 Here, we bring you a compilation of the 21 best Indian social media and digital marketing campaigns reviewed at LI in the second quarter of 2015. Please note that this list is in random order, and features campaigns due to a combination of factors like innovation, creativity, aligned to brand objective, memorability, consumer connect and engagement, and more. When Lenovo launched its A7000 smartphone, it built a story of a geek who was locked in Istanbul after his lady love ditches him for a bag full of cash. The lead character Louis Santiago was played by Hollywood star Johnny Deep in a film named Mission A7000. A news satire website started a story on how the censor board recommended a ban on mobile phones after watching Mission A7000, because they felt the lead character was misusing technology. Later it was revealed to be the handiwork of Lenovo to introduce A7000. Read more on the Lenovo Mission A7000 digital launch campaign. For the Gusto, Mahindra Two Wheelers’ first automatic scooter developed entirely in-house, the brand launched an innovative campaign involving food lovers in a city. It arranged a food ride #GoGustoRides led by influential food bloggers that saw a group of food enthusiasts explore their city’s most famous food joints riding their Gusto. While the first edition was in Mumbai, the second one was held in Bengaluru making the Gusto a scooter for fulfilling your ‘gusto’ in life. Read more on the Mahindra Gusto #GoGustoRides campaign. 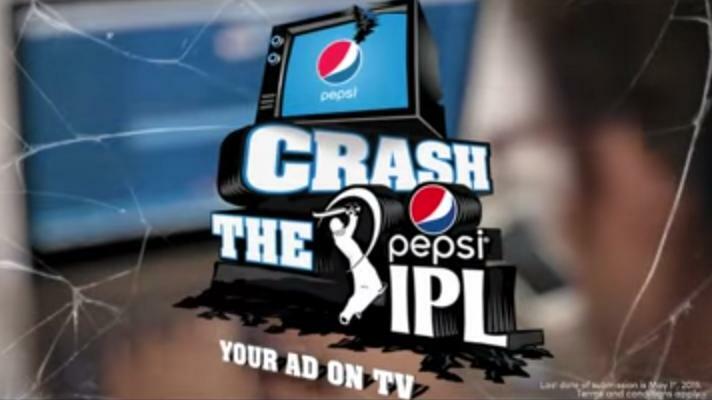 This IPL8, Pepsi had launched a rather disruptive crowdsourcing campaign on social media titled ‘Crash the Pepsi IPL’. The contest invited fans to make a 30-second commercial showing their love for Pepsi, with the promise that the best ads would be aired during the IPL matches. The brand tapped into communities of content creators on the internet like bloggers and Youtubers to help spread the word. Apart from the 30 seconds of fame, the winners also received a cash prize of Rs.1 lakh. Read more on Pepsi Crash the Pepsi IPL campaign. For the promotions of Daily Recharge, a sachet size recharge voucher by Tata Sky where one could avail DTH services for a day, the DTH provider launched ‘Daily Dillagi’. Instead of a single TVC, the brand launched a series of episodes where a love story would keep developing in each one, thereby promoting the voucher’s daily usage. On social media, the brand built engagement by asking fans questions around the forthcoming episodes. Read more on Tata Sky Daily Dillagi campaign. This tax season, Bajaj Allianz Life Insurance created the Tax Monster, a character that personified the much-hated taxes to build awareness for its Fortune Gain and Future Gain schemes. During a three-month campaign, the insurance brand sought to debunk common tax issues and talk about how insurance is great to save tax. The brand chose a content-driven strategy where fans were fed with information in a fun, interactive manner, using which they had to defeat the tax monster. Read more on Bajaj Allianz Defeat the tax monster. Britannia 50:50 is a sweet and salted biscuit in equal proportions and the biscuit brand sought to work around its 50:50 balance this IPL8 with its digital campaign #5050Feeling. As sponsors of the RCB franchise, Britannia roped in the RCB players to share their #5050Feeling through short videos. It asked fans to share their 50:50 feeling with the brand and the best entries got a chance to party with the RCB players in Bangalore. Conversations were boosted by roping in social media influencers too while a microsite served as the hub. Read more on Britannia #5050Feeling digital campaign. Leveraging cricket season this IPL8, taxi service provider, TaxiForSure had launched its Twitter videos-driven digital campaign #MadnessForCricket, an extension of its #MadnessForSure campaign. Fans were invited to share their #MadnessForCricket on their Facebook or Twitter timelines, and two were chosen to challenge cricket junkie, quiz freak and presenter, Gautam Bhimani on a one-on-one quiz. The challenges were captured through Twitter videos and led to real time engagement for the brand. Read more on TaxiForSure #MadnessForCricket campaign. Mountain Dew, PepsiCo’s citrus flavoured carbonated drink recently extended its brand ideology of rising above fear to emerge victorious (Darr ke aage jeet hain) to making a name by taking a risk (Naam bante hain risk se). Although the TVC starred brand ambassador Hrithik Roshan, the brand brought on board real achievers who have risked their lives to make a name in history. 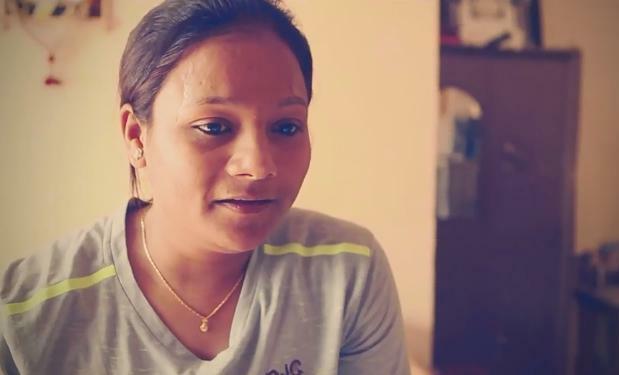 Padmashri Arunima Sinha, the first woman amputee to climb Mount Everest, all with the help of a prosthetic limb and a rod in the other leg; Padmashri Shital Mahajan, the skydiver with over eight world records including youngest woman to jump over North and South poles, and many others comprise the video driven campaign. Read more on Mountain Dew #NaamBanteHainRiskSe digital campaign. After three decades, Frooti, the flagship mango drink brand from Parle Agro chose to rebrand with a new logo and visual language. The story of a mango getting inside a giant Frooti bottle through a 50-second stop motion animation featuring miniature characters. A microsite called ‘The Frooti Life‘ provided a taste of the new Frooti Life by featuring the TVC, the Frooti story, summer recipes using Frooti, games, and more. On social media, the brand created customised gifs to cheer up folks having a bad time. Read more on the Frooti rebranding digital campaign. Based on the insight that the Indian consumer loves to be spoilt for choice and prefers to check out more options before finally making a purchase decision, Amazon India had rolled out #AurDikhao, a digital campaign powered by a two-minute film and loads of social media conversations asking popular folks to show more from what they’d already had. Leveraging IPL8, the ecommerce brand also launched the #aurdikhao contest asking users to tweet what they would like to see more of in this IPL. Read more on Amazon India #AurDikhao digital campaign. For the launch of its compact sedan Figo Aspire later this year, Ford had kickstarted a pre-launch campaign called “What Drives You?” The objective was to discover the aspirations driving modern India, much like the new sedan that reflects the needs of the young consumer. And to discover what young India aspires for, Ford roped in Farhan Akhtar as an anchor to bring forth passionate stories of real life achievers that included founder of RedBus.in, co-founders of Happilyunmarried.com, among others. Each of them shared their story in a drive-by interview with Farhan while he drove a Figo Aspire. Read more on Ford Figo Aspire #WhatDrivesYou digital campaign. After three decades of predicting the rains in Mumbai, MRF Tyres chose to stay away this monsoon and instead built promotions for its monsoon friendly tyres. It launched a self-tweeting smart cloud with #MRFRainDay where a smart cloud answered all doubts about the rain, while the wittiest questions won gift vouchers. Fans could also send in Dubsmash videos on the theme song, a chance to win an MRF bat autographed by brand ambassador Sachin Tendulkar. Read more on MRF Tyres #MRFRainDay digital campaign. 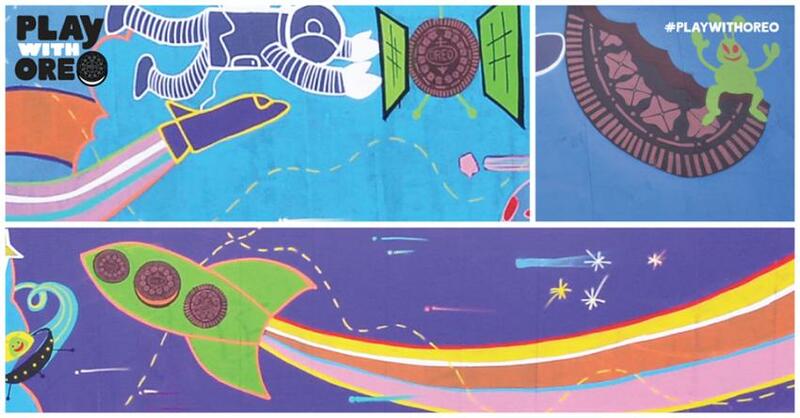 The world’s favourite cookie brand is on a global mission to inspire imagination and play in consumers’ everyday lives with its #PlayWithOreo campaign this year. Oreo India embarked on a fun social media campaign inspiring imagination with the cookie, with a variety of engaging contests: #DoodleIt – fans were invited to create doodles using the cookie, #PopIt – fans needed to find innovative ways to pop an Oreo, #PlayIt – fans had to find new games to play with their Oreo, and others like #DipIt and more. Read more on Oreo #PlayWithOreo digital campaign. 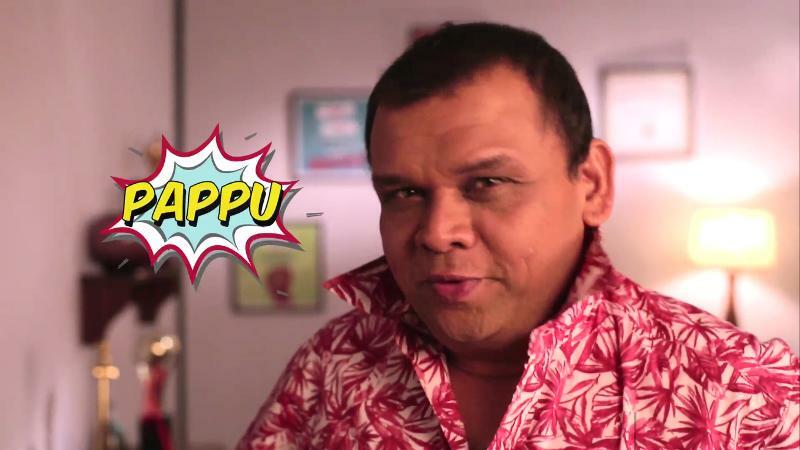 When the latest season of India’s Got Talent was set to launch on Colors TV, the reality show sought to create a one-of-a-kind digital engagement strategy through a character named ‘Pappu’. Pappu was designed as the smartass who thinks he can do everything and does not snap a finger while claiming to be the best. He made claims to win the IGT this year, and challenged folks on social media to prove him wrong. 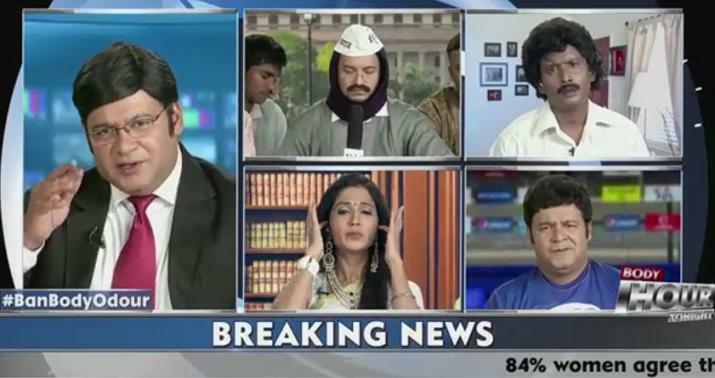 Executed in three phases: Pappu’s introduction, fans challenging Pappu, and Pappu dropping out of IGT, the campaign ensured engagement with videos and visuals on Pappu. Read more on India’s Got Talent #ChallengePappu digital campaign. Premium whisky maker, William Grant & Sons has set its eyes on India as a lucrative market and was looking to introduce more brands in the country. 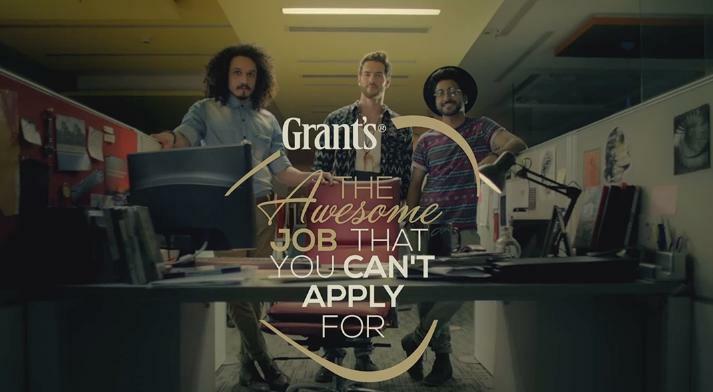 Instead of hunting for a celebrity to endorse the brand, Grant’s launched a people-powered digital campaign to find the ‘Grant’s India Brand Ambassador’. The campaign was titled ‘The Awesome Job’ and it was awesome because one could not apply for it, only friends could nominate and help one to move ahead, reflecting the brand’s ideology of ‘Stand together’. A microsite served to contain the progress and updates on the contest. Read more on Grant’s India The Awesome Job digital campaign. For the launch of its New Body Deodoriser that claimed to control the formation of body odour, Nivea Men set about on a humorous route on digital media. 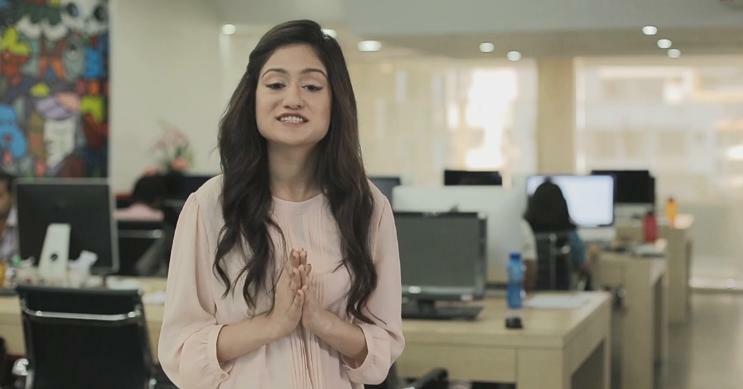 Prior to the launch, it released a hilarious appeal video to ‘Ban Body Odour’ featuring the likes of comedians Suresh Menon, Jose Covaco and others. While the funny video created pre-buzz on social networks, the new product was launched amidst bloggers who further amplified the campaign, and helped spread product awareness. Read more on Nivea Men #BanBodyOdour digital campaign. For the launch of its 2015 Spring Summer Collection, Caprese, the ladies handbag brand from VIP called all women on social media to play stylist for the Caprese Girl. The brand posted images of an outfit along with shoes, accessories, etc. and then asked fans which bag from the new collection would go with it; participants needed to check out the new range on the website. Caprese also roped in fashion bloggers to blog about their favourite bags from the new range. Read the Caprese SS’15 launch campaign. Bath tile maker, Johnson Tiles wanted to sensitize the Indian society towards making public places disable-friendly. The brand launched the ‘Red Ramp Project’ wherein a ramp was built on Kiri beach in Goa. 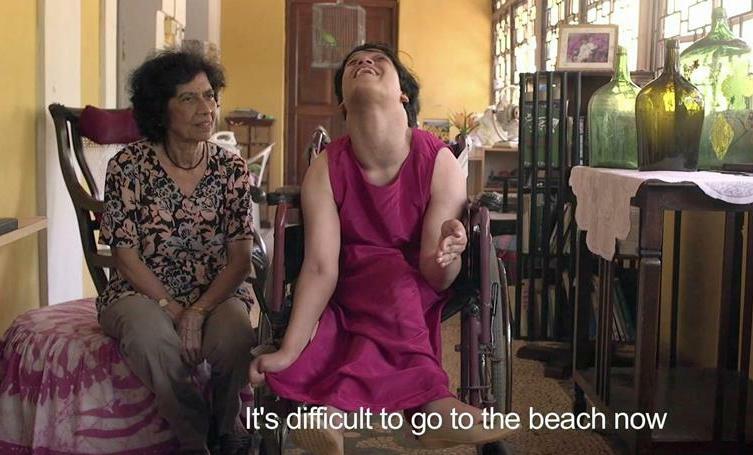 Disabled people could visit the beach via the tiled ramp and feel the waters lapping at their feet. A campaign video was created with three protagonists who had varying physical challenges. The film showed how this ramp helped them fulfil a long awaited dream – to visit the beach. Red more on the Johnson Tiles Red Ramp Project campaign. 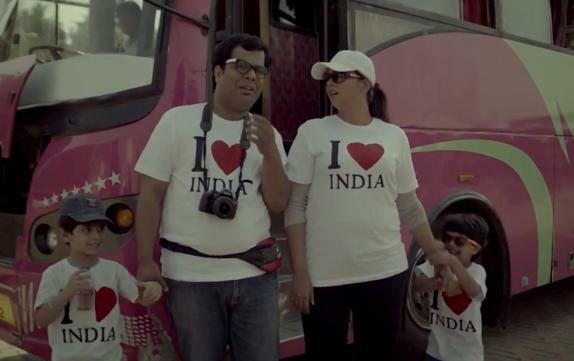 Reliance General Insurance wanted to generate interest in its travel insurance plans among young India, but do it in a way that is memorable, and not preachy or intrusive, and creates the need for travel insurance. The brand chose to co-create a graphic novel along with its community called ‘Dark Travel Tale’, which also became the world’s first Twitter-curated graphic novel. Fans were given a starting point of a story and needed to imagine the worst that could happen while travelling abroad, to take the story forward. Read more on Reliance General Insurance #DarkTravelTale digital campaign. Bag maker, Baggit decided to rebrand after three decades in business and launched its Spring/Summer collection reflecting the new brand voice. A website was created to display the new collection along with buy buttons, and a host of interactive videos showcased each of the bags in the new collection and what mood they would go with. Women were invited to watch the video and nominate their friends on social media who were in any of the said moods, using #PlayTheLifeGame. Read more on Baggit #PlayTheLifeGame digital campaign. Fair & Lovely, the fairness cream brand that most social media comedians love to hate for its regressive advertising focused solely towards associating ‘fairness’ with ‘success’, took a complete U-turn in its latest campaign. The TVC did not focus on fairness as a parameter of success as well as the beauty bloggers who were roped in for the digital initiative, did not promote its skin benefits. Instead, beauty and fashion vloggers created videos sharing tips on communication, hair, dressing and also talked about the role of confidence at work. Read more on Fair & Lovely women empowering campaign. The above campaigns have been compiled from the ones reviewed at LI in the second quarter of 2015. Do share your favourites from the list.